We strive to make ordering and paying for products as simple as possible. To ensure your orders and payments are carried out smoothly, we inform you in detail about the ordering and payment process below. Placing an order is fairly easy. In the unlikely event you do not find your way, you can find an instruction for placing an order below. Put your desired products in the shopping basket and then click on "checkout". You will now be returned to the checkout page. Of course you can place an order without an account, but creating an account is very useful for future orders. If necessary, fill in the invoice and delivery address on this page. Choose your shipping and payment method and revise your order. After placing your order you will enter the payment environment of your chosen payment method. After completing the payment you will receive a confirmation email with all the details of your order. We will keep you informed about your order via email. Paying for your order can be done through different payment methods. Below you find more information about the different payment methods. iDeal is an online payment system that allows you to easily make purchases via your own bank. With iDeal you pay in a safe and trusted way. You can do this via the mobile banking app on your telephone, or via the internet banking environment of your own bank. There is no need to register for a payment with iDeal. You can use iDeal if your bank is affiliated with iDeal. Choose the option "iDeal" at the checkout and select your own bank. You then enter the payment environment of your bank, where you fill in your account number and card number. Also, you choose the way you want to pay (e.g. Rabo Scanner or QR Code). Click on pay and your order has been completed. You will receive a confirmation email with the details of your order. The payment is immediately visible on your account statement. Choose bank transfer when checking out. After confirming the order, you will receive an e-mail from us with instructions. At the bottom of this email you will find all the information you need to make the wire transfer. Please indicate the order number as a note with the transfer. Choose the option "Send Cash” at the checkout. After having completed the order, you will receive a confirmation email with the details about the payment and the address the money should be sent to. Please note that the order is only sent out after the payment is received. 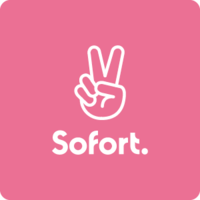 With Sofort you can easily pay the order amount by means of a wire transfer. The difference with a normal transfer is that you only have to verify the payment. Information such as the amount, the description and the beneficiary are already filled in. Sofort Banking is the free, ISO-certified payment service of Sofort AG. For payments with Sofort Banking you need your access data for internet banking, which means bank account number, PIN and TAN code. Select your country and the bank you want to pay with. Then log in on the secure payment form. Log in with your data for internet banking. Now confirm the transfer with your PIN code or card reader. At the end, you will receive a confirmation of your order via email. Belgian account holders can make online purchases with Bancontact through their bank card. They have a card that is linked to credit on a Belgian bank account. With Bancontact you pay your orders in a trusted, safe and easy way. The payment of your order is done in a few seconds. You pay through specific security methods in the familiar payment environment of your bank. Choose Bancontact as payment method. Enter the card number stated on your Bancontact card. Now you enter the secure environment of your own bank. Log in with your phone or card reader. Confirm the transaction. After confirming the transaction, you will receive a confirmation of the successful Bancontact payment. Select your own bank from the full list of participating banks. Once you have selected your bank you register with the online banking environment. Giropay has many similarities with the iDeal payment process. This online payment method is very popular among German consumers. More than 80% of German banks is affiliated with Giropay. It is a secure and trusted payment method and the payment is made entirely via your own internet banking environment. Choose a payment with "Giropay". Select your own bank from the list of participating banks. Now, log in to your bank's internet banking environment. View the filled in payment details. If the payment details are correct, agree with the payment. After authorizing the payment, you will receive a payment confirmation after which the order will be sent. It is not possible to pay with a credit card. Credit card companies charge a high fee for credit card use. This amount is deducted from the payment the store receives. The rates credit card companies use, vary around 10%. This amount is of course passed by the shops to the customers. We think this is too high a commission, in particular if you compare it with a bank transaction that is free of charge. Another reason why we don't use credit card payments is because the online stores have to deal with fraud. Sometimes, purchases are made with stolen credit cards. The shop sends the products to the fraudulent customer, without knowing it. In the end, the store does not receive the payment, but it does get a fine from the credit card company. These costs we’d rather avoid. If you still would like to make use of credit card payment, you can do this via Transferwise or Western Union. However, these parties also charge a fee. We will not reimburse this amount. As we have less costs, we are Europe's cheapest online headshop!